As a follow-up of the European Year of Cultural Heritage 2018, the European Commission will support the restoration of at least 4 heritage films. The total available budget is 320 000 €. This project is managed by Creative Europe MEDIA and we are now gathering proposals for restoration and digitisation of films with a recognised value and a potential to find audiences in various EU states. The EC grant can cover either the full restoration process or part of it (the grant can be accumulated with other sources of funding). The expected final product must include subtitles in the 24 official EU languages. An audio description is also encouraged. The deadline for delivering the final product (a remastered version of the film ready to be screened) is 31.10.2019. Physical condition of the film – required scope of works and expected timeline of works, including whether the restoration has already started etc. – why it might be considered part of shared European film heritage? – has it been previously exploited outside country of origin (cinema, TV distribution)? – you may include any other relevant information, such as received awards etc. 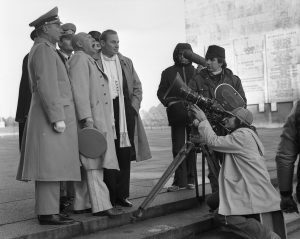 We strongly recommend joint restoration projects of several European film archives and film heritage institutions. The deadline for submitting proposals is 15th April 2019. The selection will be made until end-April. The Secretariat of CEN/TC 457 would like to inform you that the third Call for Tender for preservation of digital cinema has been put on the Homepage of the DIN Standards Committee Entertainment Technology, Photography and Cinematography (NVBF). The purpose of this call is to find a film archive representative – project team expert 5 – for the Project Team which will be in charge of the bulk of the practical work in this standardisation project. The deadline for tenders is the 21st January 2019. Women and the Silent Screen (WSS), an international conference held biennially, brings together research focusing on all forms of women’s presence in the earliest decades of motion picture history. 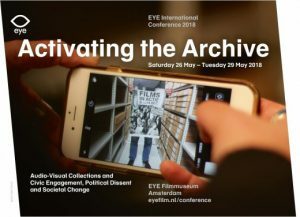 After its first edition in Utrecht in 1999, the conference is coming back to the Netherlands to celebrate its twentieth year. The theme of WSS X is Sisters, taken both literally and figuratively within a wide range of theoretical and historical angles.